J. G. Anschütz GmbH & Co. KG is a firearms company based in Ulm, Germany, that makes small and large-bore rifles (.17, .22, .223 Rem. .308, 30-06, 8x57 IS, and 9,3X62 caliber, and .177 air rifles and air pistols) and shotguns for target shooting and hunting. Their rifles are used by many competitive shooters participating in the 50 m Rifle event at the Summer Olympics and Winter Olympics biathlon. 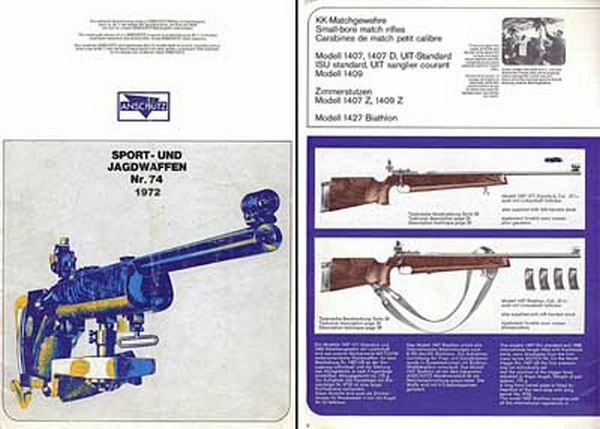 The ahg-Anschütz company (a "twin" company from J. G. Anschütz) is mostly dedicated to the international trade of shooting accessories like shooting jackets and boots.